“Isn’t this is a bicycle museum?” you might be asking. “What’s a car doing on these hallowed pages?” Ordinarily, of course, there certainly is an acknowledged gulf between cars and the humble bicycle. 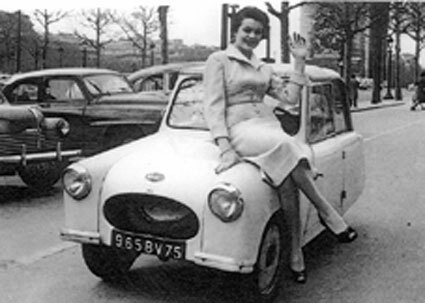 But Charles Mochet was no ordinary car manufacturer. He was the pioneer manufacturer of recumbents and velocars. 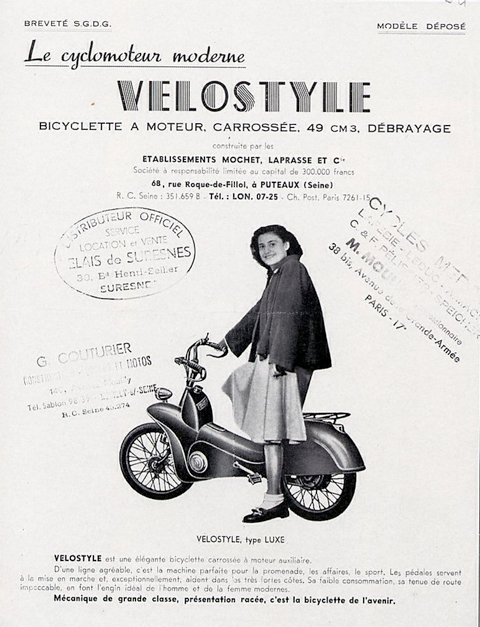 Velo being the French word for bicycle, a velocar really is a bicycle car. 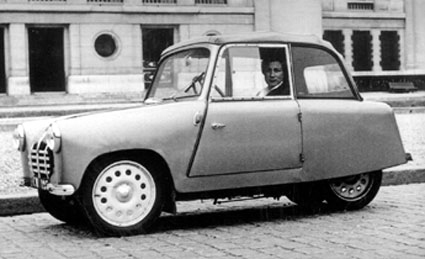 This 1956 Mochet is the final Velocar model. 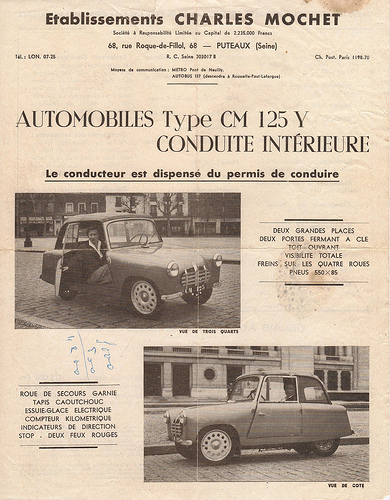 Production of the Mochet ceased as a result of a change in French laws which, up until then, had allowed small vehicles under 125cc to be driven without license or registration However, the original four-wheeled Velocar design was essentially two bicycles side by side, without engine, and a wooden body. 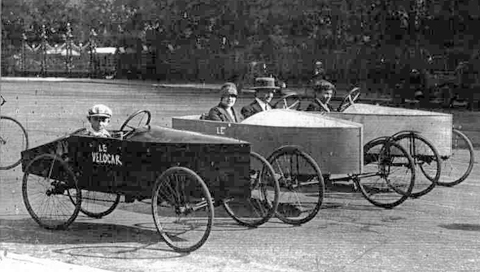 Mochet’s first cyclecar, for his son George, can be seen above. Below you can see the 1932 prototype Velocar recumbent bicycle. The Mochet Velocar is in very well-preserved original unrestored condition. The only ‘update’ I’ve detected is carpeting on the inside of the doors. The body is solid, without anything more than surface rust. The roof fabric is intact and without any damage; I would be wary of folding it down though. The petrol tank was removed and steamed cleaned a few years ago. It starts and runs, and has a new 6v battery. However, it has not been on the road for many years, so will need the usual titivation (and registration) before it plays with traffic.